Our eyes are filled with happy tears as we type this post. 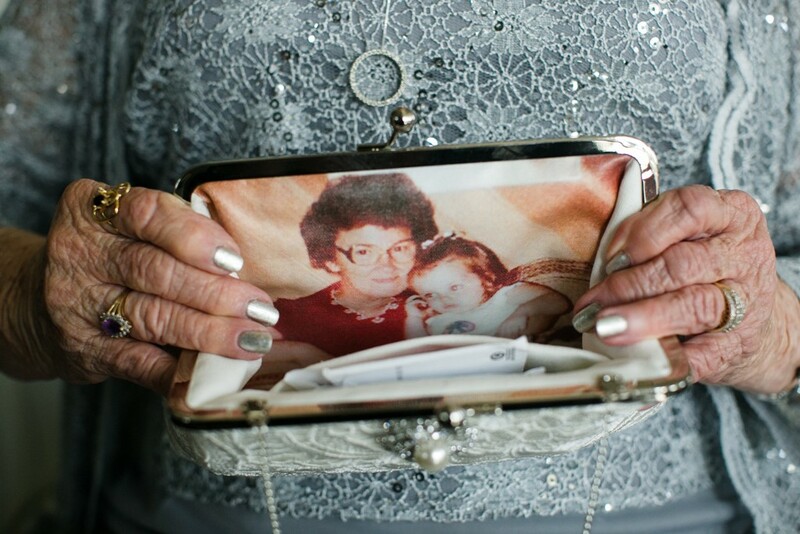 With all the hustle and bustle of a wedding, we sometimes forget to honor and to show our gratitude to our elders, whether it’s the grandmother, grandfather, a grand aunt or uncle. 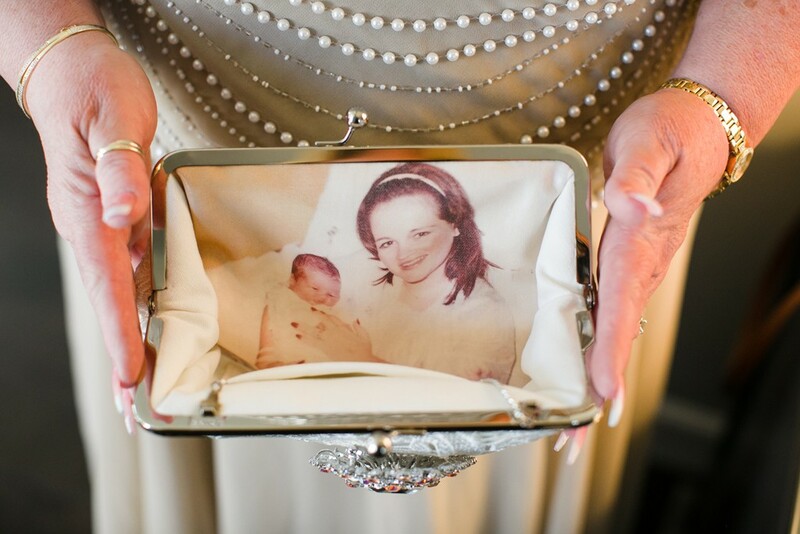 But Jillian, a lovely bride from Florida, presented thoughtful personalized photo clutches to her grandmother and mother on her big day with vintage photos taken when she was a child. We are lost for words as we are so deeply humbled and touched by the sentimental value you’ve added to our work. Thank you Jillian and congrats on your big day. Photo by Creative Focus Photography. Photos by Creative Focus Photography. Interested in making yours? 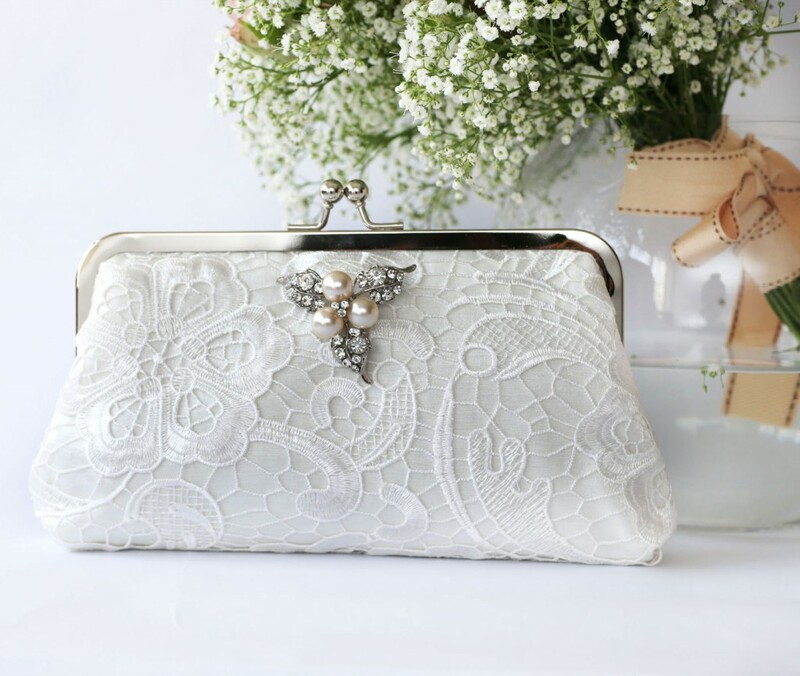 All our clutches can be personalized with a photo that you send us. 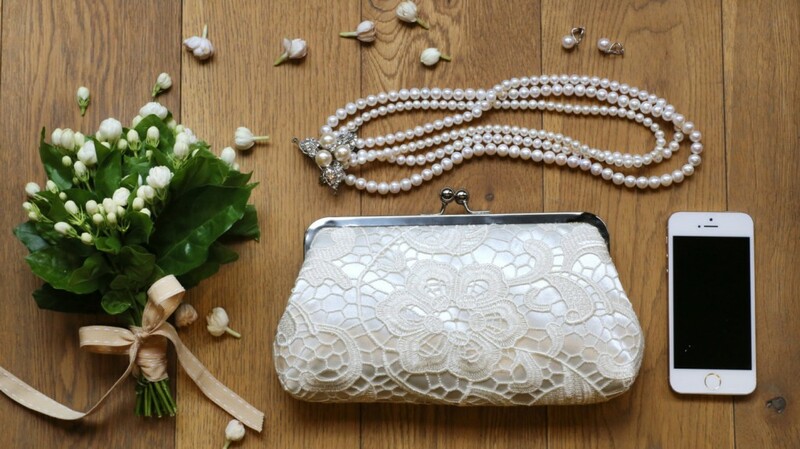 Here are some of our L’Heritage lace clutches available at ANGEE W. Etsy shop. To get an order started, head over to our Etsy shop, choose a clutch bag and remember to add the photo lining personalized option or select the “Photo Lining Personalization” from the pull down menu of the clutch bag listing. We’ll be in touch with instruction on how to select and how to upload your photo to us. Hello. This is the most beautiful sentiment gift i have ever seen. Im located in Australia and cant find anything similar available here. Just wondering if you post to Australia and what the cost of the clutch is?